Résumés are cultural artefacts — often, they tell us more about the writer’s culture than we realize. Would you list your marital status and/or number of children on your professional summary? If you apply for a job in Austria, you might put this on your CV. Do you include a staged, unnaturally-lit photo of yourself in formal clothing? In many parts of Western Europe, having a photo on your résumé is expected. And what about when you get older (in the technology field, that’s code for ‘over 40’). Would you include your birth date? At lots of American companies, this could be a faux pasakin to announcing your religion or voting history to a stranger. For highly mobile global workers, the trouble with using CVs or résumés to apply for jobs is that you never know which recipe is required. European CVs typically offer candidate details that you might tell a good friend, whereas Middle Eastern résumés often avoid the appearance of “bragging” or using highly assertive personal descriptions. Plenty of Americans think résumés aren’t meant to provide your vital statistics for quick review in case you get run over by a bus. Résumés are viewed as a sales tool at best, and as a tall tale at worst: the US consensus tends to be that employers should not know everything about their employees. With that said, the difficulty of job-searching as a recent immigrant in a new country is not to be underestimated. Knowing the norms and expectations of local and international employers in your sector is absolutely critical. Learning how to tell a compelling professional story (without it becoming Confessions of the Unemployed) is often the difference between landing an interview or not. But where does one develop these skills? One valuable lesson from the tech industry's growth is that the most valuable workers keep evolving. This means pursuing training and development opportunities as well as reviewing and updating your experiences regularly. Some institutes of higher education teach résumé or CV presentation skills in their curricula. 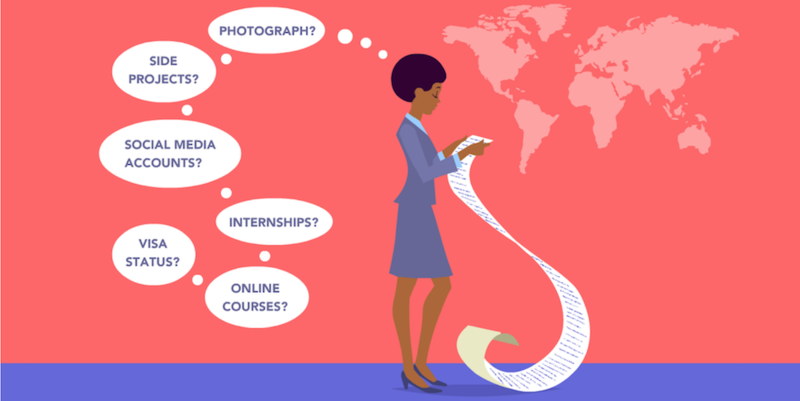 Fierce competition for prestigious internships and the like encourages young adults to take the on-paper story of their professional life seriously. But what if you didn’t have a hyper-competitive college culture? What if you didn’t finish your studies? Or if you’ve never thought too much about how to ‘sell’ your work experience? At FrauenLoop, we believe that global job search skills and how to apply them are critical. We know that more and more employers globally look for a mix of ‘hard’ and ‘soft’ skill sets — including the ability to convey information effectively. By focusing on career-changers, FrauenLoop equips our students with strategies to tell their professional stories in a manner commensurate with local industry expectations. Our résumé-, CV-, and interviewing workshops cover these and other insights with diverse groups of recent immigrants and resident Germans.